Leica has introduced new firmware for its latest M series digital rangefinder that aims to improve a number of aspects of the camera’s handling and operation. 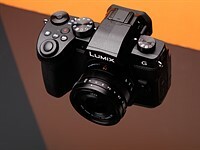 Firmware version 1.3.4.0 is said to reduce the duration of the black-out time between frames when using the M10 in Live View mode so the camera is ready to shoot again more quickly. The new firmware also makes scrolling through the menu system quicker as users can now press the Menu button again to shift from page to page. The Favourites Menu has been expanded by one item to allow up to 15 oft-used features to sit there, and this menu will now divided into two pages when more than seven items are consigned to it. 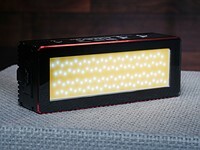 Photographers making use of the optional Visoflex EVF can now have the camera automatically preview just-captured images there instead of only on the rear screen, and the battery and SD card status bars are now color-coded – from green to yellow to red – to give users an idea of remaining capacity. 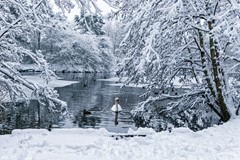 For more information see the Leica website and the support download section. Leica Camera has released a firmware update for the Leica M10, downloadable from the Leica web site from today. 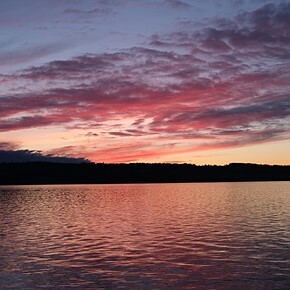 Firmware version 1.3.4.0 adds numerous improvements to the camera’s handling. These include optimised colour-coding of the status bar for SD memory cards and battery level, which now change from green to yellow to red as the battery charge level reduces or the card becomes full. The ‘Favourites Menu’ has also been revised: up to 15 menu entries can now be created and a second Favourites page opens after adding more than seven entries. Furthermore, with this update, M10 owners have even faster access to the main menu – it can now be opened by pressing the Menu button in the Favourites Menu. The same button can also be used for page-by-page scrolling. An additional new feature enables the selection of the target display for automatic review on the monitor screen. The menu entry now offers the alternatives ‘Auto’, ‘EVF’ or ‘Display’ as target options, while ‘Edit Favourites’ allows the activation of direct access to ‘M-ISO’ as a Favourites Menu item. The firmware update also brings a further significant reduction in the lag (dark screen) between exposure and display when taking pictures in Live View mode. Looks like a nice, useful update. Do you not update the software, as in the OS, on you iPhone? On the one hand, it is good to have regular software updates... but then which phone manufacturer gets to version 1.3.4 in the first month of sale? (And Leica <<still>> doesn't get the digital level/horizon implemented...). It doesn't suggest 'masterpiece quality' to me. Yawn, very few rush off to buy new computers, with new OSes which is what firmware is. Meaning firmware updates are to be expected, it would be a bigger problem if they weren't released reasonably quickly--Sony. How do you wind the film? There is no wind lever, does it have a build in motor? WOW. Sure, it has a built in linear motor of some sort to reset and fire the shutter(s). Want a winding lever on a digital camera, get the Epson R-D1, very quiet. Not great above ISO say 400.
but where do you put the film in? When you ask over 5000$ for a camera out of the box it better be perfect straight out of the box! 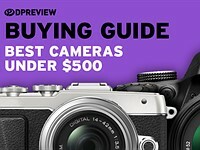 Canon and Nikon do the same for there $5000+ cameras too. It seemed perfect out of the box, yet there is no limit to perfection. They found something that they could improve upon, and they did. The EVF blackout was two times shorter than in M240, and they made it even shorter. That's what I call commitment, not sloppiness. Do you not update the software, as in OS, on you iPhone? You sound like Kai! Lol! It's not oft that we encounter in our browsing the word "oft", or the more rare hyphenated "oft-used", but it certainly is apropos to find it in an article about a Leica FW update. To pettifog whilst posing a query: Why be a notice of a Leica firmware update outlier? I have to ask! Will there be any limited edition M10's in the near future? Why do you have to ask? Oh, and the answer is likely no, but remove "near" and then the answer is yes. It is not unexpected to see an onslaught of vitriolic comments under any Leica news. Even those few who are not familiar with Aesop's fable about a fox and grapes sort of get an idea why so many people get so angry. So, let's concentrate on things that matter. Aside from a few cosmetic tweaks, this firmware sports a very useful improvement: it cuts an EVF blackout time by more than a half making it much less obtrusive, if not unnoticeable. Some people asked why on earth a rangefinder camera would need an EVF and/or live view. While the rangefinder is ideally suited for focal lengths that do not deviate much from normal (28-50), working with ultra-wides and especially telephoto lenses has always been a limitation of the rangefinder design. Thanks to a very elegant solution (Visoflex Typ 020 EVF that is), this limitation is no more. Also, people who like chimping, will also appreciate Visoflex, as it offers a high-quality image review clearly visible in any lighting conditions. But why do people get so angry? I cant afford a Leica. But I don't understand why other people get so STEAMED UP about it. It is truly bizarre. It makes the people who make such an effort to come here and complain, come across, frankly, like weird idiots with an inferiority complex. If someone wants to shoot Leica then good luck to them. They dont have to justify themselves. Do the same people who are so angry with Leica pricing, also get angry and picket outside Bang & Olufsen showrooms? Do they rip the Nike logo from their clothes and buy Walmart pants? Do they shout at Bentley or Cadillac drivers when they drive past? Humans are weird. Why the ANGER people? Deleted because I replied to the wrong comment. I'm too stoopid to own a Lika. I didn't buy the M10 just becouse there was no way to automatically see recorded pitures in an EVF. Anybody needs a kidney? No? Just asking. Why do people get so angry and opinionated over Leica? Do they have some mental disease? It is a camera. A unique camera. No other camera is like it. If you like it, you pay the price. If you dont like it, you dont buy it. Do the same people who attack Leica only buy clothes from Walmart? Do the same people also like branded goods or nice watches? Hypocrites? If someone wants to spend $20,000 on a Leica and some lenses, then i say Good For Them and enjoy the camera ! There are some real morons around. Sorry to be blunt, but jeez the anti Leica sentiment is ridiculous. It is a camera. A unique camera. No other camera is like it. It is, frankly, the best camera. The greatest. It is so great, believe me, you will be sick of its greatness. People have been unfair about Leica. Very, very unfair. These are low energy people. They probably shop at Walmart. And it's just so unfair. Leica is a great company. It is the best. You should ignore the losers who can't afford this camera. People who use this camera take the best photos. Everyone says so. I can't show you the photos I took with the Leica right now. I'll get back to you on that. Everybody knows that Leica is the best so nobody's interested in seeing my photos. But, believe me, folks, my photos are the best. So go out and buy this camera. It will make your photography great again. Leica also has some of the most thin skinned defenders on this forum, slapping back at every negative comment. Like spoiled children. Of course they're spoiled. They get to do photography with a Leica. If I ever get to be upper middle class I would love to own a Leica camera after a Hasselblad X-Pan, of course. What irks people is not the camera itself, it's the silly attitudes of many Leica owners who won't shut up about how "if you have never used one you don't understand how good they are and how bad yours is". Well, of course most won't ever be able to afford it but buying one won't turn you into Sebastian Salgado. It's a camera and for every snob Leica owner there are 10 astounding smartphone photographers out there. @kiste - just mirin the m, bro. No homo. That "spoiled kids" statement made my day! By that, you have to raise your kids in poverty, to beat them up all day and avoid treating them to the fine arts, beauty, craftsmanship, mastership of musical or other instrument and all the other pleasures of the rich. Daft Punk, have you got some kind of web cam on me? You've just described my average day. Mirrorless ist the future. Why is anyone bothering with this dinosaurs anyway? btw. can it record 4K? Rangefinder were mirrorless long before you speak of mirrorless ..
Mirrorless is not THE future. Neither is Leica RF. Mirrorless: what you see in the viewfinder= what the sensor see=what you get. If you focus 100% it will be in focus. Range finder (Leica etc). Focus can be fast (practise) and can be spot on. If your rangefinder is perfectly adjusted and stays that way. It will not stay perfectly adjusted over time! Been there. My M's never reached 100% score of perfect focus. 1.4 /50 Summilux (wide open), 2.0/90 mm, 135mm,.. do not expect 100% hit score. On digital Leica M use live view to check RF adjustement. Focus with RF (on tripod) switch on LV and see if the sensor is in focus. Repeat on several distances! Remember how to adjust . If you need 100% use live view or switch to mirrorless. My Zeiss and Leica M lenses produce great results on Sony A7II and Olympus EM-1. 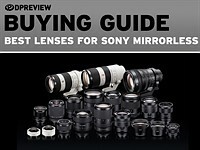 Avoid M-lenses < 28 mm. Stop selecting THE BEST or THE FUTURE. Pick the best tool for the job today! Well done. I'm not sure why they release and quickly followup with firmware fixes but at least they do. Looks like good improvements on an already great camera. Behave, Leica haters. Or else I will show a picture of my Leica bodies and glass. No, I am not a dentist nor attorney and neither did I inherit the money allowing me to buy whatever Leica I wanted. The Leica haters are paying the rent. The best click-bate in the DP-world. Few hate Leica it is just that a lot find it hard to justify the price in this digital age with what is on offer by others. Back in the old film days it was a different story then the superior results were obvious, but lets remember it is the lenses that take most of the credit. Absolutely, Leica lenses, the optically good ones, deserve most of the credit. However M lenses, when used for digital photography, work much better on Leica M bodies and the Leica SL (yes the Ricoh A12 module too) than on other mirrorless digital bodies. And the best Leica M lenses, like the 50mm f/2.0 APO, are pretty hard to surpass for optical quality. Things Leica fan boys dream of!!! And that difference is important if you care about getting the most out of Leica M lenses. In other words, you're not real informed about the M lenses and the reasons for, and yes limitations of, using them and using Leica bodies. Typically, like many gear heads who don't even use gear to test it, you're counting numbers and specifications. I just love this thread. So much hate and envy and ignorance. Rage on! Rage against the machine that is Leica. Rage against creativity. Rage against organic simplicity. I dare you to pick up an M10 and shoot it for a few days and not consider shameless acts to acquire it. Not because it is better, but because you desire it. It inspires you. You forget about what it is and you just want to create with it. To all those with negativity,may I take this opportunity to announce that the newest Leica baby named M10 smells like a new born baby. I think he mean to say the [camera] poop don't stink. It is an odd thing to say because baby poop becomes as distracting as any other poop. This means that the M10 poop will start to stink when its diet changes as it gets older. "the battery and SD card status bars are now color-coded – from green to yellow to red – to give users an idea of remaining capacity." What is this status bar? Just some LED indicator? does this mean the UI on the LCD doesn't show how many more pictures you can take and no battery level indicator, or they exist and untill now that status bar was just red and meant... nothing? Can anyone give some background abot this particular thing? Firmware 1.3.4.0 - these same bars exist, but the green bars now change color according to how full they are, as well as deplete in percentage. info panel - a 2nd lcd panel, or just like the upper part of the main one? something in the OVF? You got picture? I am totally with you, "It's near-featureless"... that´s really a pity, no selfie-features, no "ancient photo" or, at least, an Andy-Warhol mode with funny colours, and, that is the top of all impudence, no AF, how could someone at all make only one single sharp photo with this pile of rubbish??? And then those lenses, Summilux, Elmarix, alone those names sounds like a dish liquid brand name, nobody wants lenses with such names as "Noctilux" or "Tri-Elmar". The "Noctilux" has an aperture of 0,95 (or less), that is the half, third or a quarter of other lenses which costs only a fraction! It's characteristic of your "expertise" how well you maintain those shiny Leica blinkers you wear. I'm happy for you. What does this mean : The "Noctilux" has an aperture of 0,95 (or less), that is the half, third or a quarter of other lenses which costs only a fraction! @Tan68: it´s pure nonsense in reply to the expression "near-featureless"
This is a significantly different design than the M8, right the rangefinder box is the same. This is a new full framed sensor, that means not the same sensor in use in the SL or M240. And one can tell by looking at the raws. "debugging"? Do you mean firmware? Or are you only commenting the variations, oh like the only natively monochrome cameras available (with a slight caveat about Sigmas)? What's wrong with the name "Noctilux", would you rather the name be "f/0.95 2013"? You don't seem real familiar with Leica digital Ms, yet you post. Canon, Nikon, Sony, all of play wack a mole until they get an out of the park hit like the GH5 or D810. Leica lenses hit it out of the park decades ago. Nikon and Canon haven't come close to catching up. It took Optron almost no time, that was the Samsung lens maker. The Panasonic GH5 has not released yet, could be excellent. Which famous lens name does Panasonic use on it's optically best lenses? 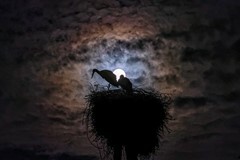 It's not Olympus, which can/does make amazing lenses. Well...you know! I am would like to add another negative comment, but the truth is I would like to be able to afford an M10. Before all that, be nice to your wife/husband/partner. i would also like to to be able to afford a Leica M10 and one or two lenses. i would use that money for something else, of course, but i'd still like to be in the position of at least having enough savings for a M10 to even be a purchasing option. that being said, if the new firmware doesn't improve the horrible body design how can it truly improve handling? Very interesting to have a look at the gallery of those who comments. Compare and contrast this to firmware update to other manufacturers, though. We have a 1D-X firmware update that fixes an icon, a number variable, and an issue with USB. 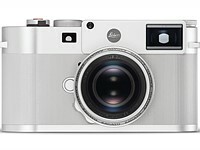 Leica here is adding features, tweaking the way that the camera is operated, and improving performance of the camera. Easy to criticize because of the cost, but they clearly make capable cameras and show that they can respond to their actual users feedback. The Canon M10 doesn't shoot M lenses real well. But since it's APSC it would do better than say a Sony A7II. Hard to focus that Canon too. And WAY better color science. And still have problems with your Acer's screen I see. Land used it in Polaroid "film" too. Yes, I've noticed as well that he is stalking you. M10 is the finest designed digital M.
M10 is the worst M regarding colours rendering. Just nasty. What raws are you basing this claim on? I rather like the colour. Color looks fine to me. Maybe he needs to stop viewing the photos on his old Motorola phone. Then you simply dont know what good color is. This is a positive for you....you dont need to waste money on good calibrated monitors when your eyesight is horrible and you have limited knowledge as to what good color is. Maybe fill your gallery with some photos so we can all see what good color is. I know wery well M9, M240, SL colour rendering. M10 colour looks unpleasant, with ugly magenta cast and it's complately different to those Leicas, a bit close to Q', but much worse. That's what I see, you do not need to see it same way. For me M10 renders ugly colours. Period. What M10 raws have you processed? 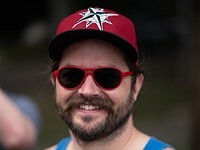 I see zero magenta cast in the raws from either DPR or PhotographyBlog--so far those are the only M10 raws I've seen. Do you have another source for M10 raws? Have you used the M10? Still following me around I see. Now if Mateus can say "yes I downloaded/shot several raws. They all had a magenta cast that I could not remove without substantially altering the image, and this problem was visible on several different monitors", then I'd be very interested to read what Mateus has to say. Crap, try to use a tiny bit of thinking power before posting your garbage. True FLrukas....they are a trap. Designed to catch ignorant people when they post nonsense. You know...like not understanding what a jpeg is....stuff like that. The color from the M10 is actually very accurate. But hey, doesnt really matter as you're just stalking and trolling now. Did you actually shoot the camera? What are your observations are based upon? My almost two-months-long experience with this camera is dramatically different from what you are describing. I tested the M10 extensively before writing a review, and this is what I found: DNG files are neutral, there are no magenta cast at any ISO, neither under sunlight, nor any artificial lighting that I could find (incandescent, halogen, fluorescent, LED). Files shot at ISO3200 and below are of print quality and can be adjusted in the range of -2EV to +1EV without noticeable impact on image quality. At ISO6400 it is better not to touch the adjustments, but if the exposure is right to begin with, the picture can be printed 24x36" easily. I don't believe most Leica owners know what firmware is, let alone update. Who told you I can't? I am really sorry for Leica, that I understand a bit on photography. Move beyond the cliched putdowns. Putting down "most owners" of anything is hardly productive. 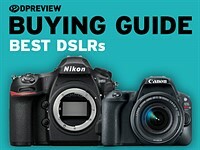 Could you say that Canon SLR users are smarter than Nikon owners? 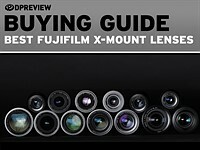 Fuji users better with their money than SOny? Could it just be that their products fill a specific need for the user that doesn't fill yours? And guess who earned them???? The SL, the M240. The S2. I can't comment on the M10, I've not used it. Dynamic range is hardly the only measure of digital camera--the excellent Canon 5DSR doesn't have great DR. Right, the D810 does things this M10 won't but you'll need Zeiss Otus and Milvus lenses to do things with that Nikon that the M240, or very likely the M10, +good M lenses can do. 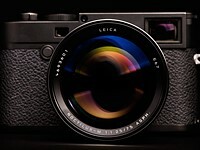 Maybe Leica is going down the road of listening to it's users, in this case possible users. If a camera has a draw back that a frimware can solve you would imagine the manufacture would write that frimware. and for 7 grand per camera you would thin so. Leica updates firmware, this isn't a new thing. So you have no idea of how networked computers work. That you use the term "luxury tool" says far more about you than almost all Leica users. Elon Musk is working on perfecting 1950s technology. Leica was already there and went to digital quite well. Luxury tool is an oxymoron. Leica is the best tool around, but it is still a tool, a means to an end. If you feel it is a status symbol, nobody can prevent you from feeling that way. Instead, we will just keep shooting it. @How It's the same price as a medium format camera. Yes it's a luxury tool. It's a couture camera & a camera tool 👍🏻 As far as saying Elon Musk is stuck in old tech. You make no sense. It's the same price as some medium format bodies. Its better lenses are optically much better than anything from the Pentax 645 system and much better than the lenses from the Hasselblad X1D system. That leaves exactly one manufacturer of medium format bodies and a separate lens maker. 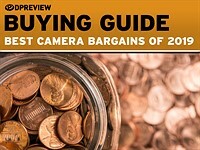 And those cameras+lenses cost far more than an M10 with the 50mm f/2.0 M APO lens. You're really ignorant of better camera gear. Deal with it. Elon Musk is really old tech, think almost 1930s. And yes there were battery powered cars able to run for more than 100 miles on a charge as early as about 1915. These cars worked in really cold weather too, unlike Musk's Teslas. @Raw While Leica makes great optics "better camera gear" is a delusional statement. I don't know one Pro photographer that would trade their Pentax 645Z, Nikon D810, or Olympus EM1 M2 for a Leica. You live in a bubble man. No, the statement is not. You've demonstrated cliched gross ignorance on the subject. 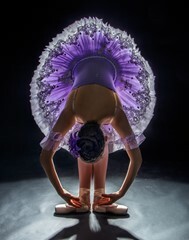 You don't know many pro photographers. Also now you've brought up gear, the D810, which can use Zeiss lenses. And generally M bodies, or the D810, are used a bit different than medium format cameras, just so you're clearer on the working of most pro photographers. The Olympus EM1 II, though an excellent camera, and Olympus knows how to make much better lenses than Pentax, shoots 12 bit raws--this remains a problem. I'm not the one living in the bubble. You used the word "luxury". I am a professional photographer, and all I have is Leica. Haven't used my Contax 645 since M9 came out simply because image quality is comparable, and it is much easier to shoot. M10 made it even better. Although now I also have SL for video and S006 for special projects, M10 is the primary work horse now. Don't even try to tell me that this is luxury. There is no such thing as "expensive" when it comes to professional use. It either pays for itself, or it does not. I learned how to make it pay for itself. Hence it is not expensive for me. Is the shutter on the M10 quieter than that on the M240? Thought I'd ask, since you're the first person I've encountered who owns one. I never compared... I shot M240 last time in 2015, so I just do not remember. M10 is pretty quiet. However, it is not the shutter sound that makes it so great. Read my review if you find a moment. HowaboutRAW, I think the shutter in all M are not too loud. But I think the cocking makes them a little louder. The M8 was horribly loud, the M8.2 sort of improved things by separating the reset (what you call cocking). The the M9 improved upon the M8.2. The M240 improved upon the M9 a bit. There was a refinement with the M262 (I've not tried it). Then comes this M10, which of course I've not tried. The Epson R-D1 had a very quiet shutter, mostly because the user manually reset it via a "film advance" lever. M8 also had the soft release and separate advance after a firmware upgrade. Separate advance (discreet mode) was really inconvenient, but soft release did make a difference. Worked great on M9 too. You are right, nothing was quieter than Epson. HowaboutRAW, Very true. I havent got the M10 yet. princecody chose to post the "updates itself" preposterousness and then went further with "luxury tool". Can't stop following me around, I'm not the one doing the equivalent of repeated tweeting. I'd thought that M8 variation was a bit more than firmware, hence the 8.2 name. And of course the Epson R-D1 was APSC. Now my Konica Hexar RF, with a bladed metal shutter, reset, and film advance, was amazingly quiet. I don't understand what changed, or why Leica couldn't copy that. That was a modern electronically controlled mechanical shutter. "Leica tweets new comb over version...of...."
"Complete with NEW orange dot!!!" Yes, full on stalking is very like that guy from Queens whom you seem so intrigued by. Except you don't seem to understand a few things regards my perspective on Leica and the M10, I have seen raws from the camera. From two sources. I'm NOT actually spending much effort defending the camera body; I've not used it yet. I'm defending the idea that of course Leica, like say Canon, releases firmware updates. Do learn the difference before being so foolish again. I do expend a good deal of effort defending optically better lenses from Zeiss, Leica, Optron, Schneider. There you go again with "luxury"--it just sounds either really ignorant, or envious. Ignorant is better than the latter. "I know now why you talk so much of Leica! It's subconsciously makes you feel sophisticated" And this garbage subconsciously makes you feel intelligent and secure. See how that works? Or is that too subtle? Shall I spell it out? Best to ignore this one and his Minion. 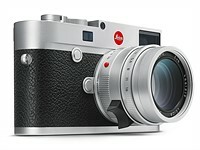 Next time Leica will first release a firmware update and after that release the camera? What makes you say the camera isn't out? You do know there's usually a months long wait for new Leica gear? 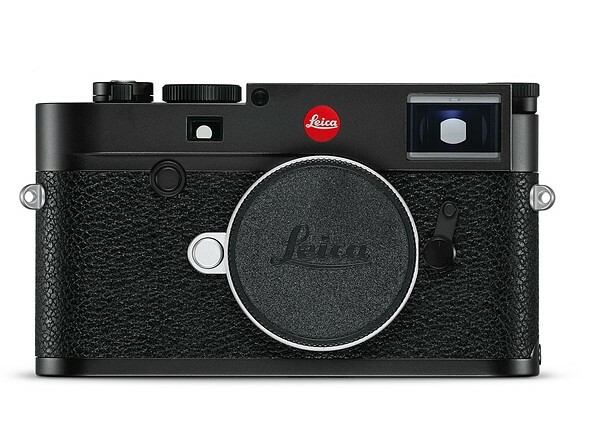 The Leica SL was released fall 2014, but wasn't regularly available for more than 6 months. The SL 50mm f/1.4 is out too. But only just. And you can't buy it, unless you preordered months ago. And I see you still have no evidence for your malign claims regards the M10. live view on a rangefinder camera :) what's the point ? I thought all RF users want Leica so they can use RF . You dont have to use live view. 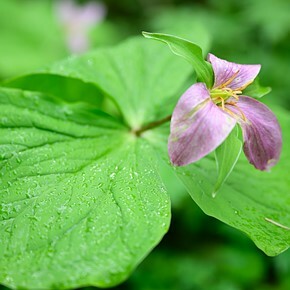 It also allows you to focus M lenses when the subject is off centre and you want a wide aperture. It makes those f/1.4 and wider lenses much more usable. I agree though that it defeats the idea of having a rangefinder, as it shows up the limitations of such systems, but together rangefinding and live view make these cameras more flexible - and fun to use.
" 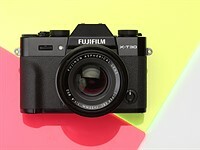 I agree though that it defeats the idea of having a rangefinder"
does it not also defeat the idea of having a DSLR too ? :) just kidding guys :) I know what Liveview is for but do you actually think the Leica users who buy M10 will have non-M lenses ? . They will have an arsenal of latest fastest M lenses. Anything that doesn't have a Red Dot on them won't be acceptable :) . Faster M lenses like the Noctilux make focusing a Leica M rangefinder a bit odd--one's thumb can easily block the image one is focusing on. Try not doing the red dot cliche lines. The dot is a marketing theme from the 1980s. The enjoyment is buying one having it even if not usable really ...gives a good feeling, a proud owner some even take it a step further and feel superior to ....that is why they take pics of the homeless and helpless to rub in the superiority. DP.R can never do a comparison with a 7RII or NikonD810 f.e. cause will be too confrontational and embarrassing. The layer between superior and inferior might be skindeep so can only fool the few. "I know what Liveview is for but do you actually think the Leica users who buy M10 will have non-M lenses ?" They may well have some long Leica lenses though - even a 135 gets very hit and miss on a rangefinder. That's one of the reasons the old optical Visoflex existed back when and its modern EVF counterpart exists today. 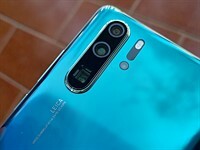 :) the purest RF users won't need Live View because to them RF is far superior than any other method , RF and distance scale are enough to take good photos sharp or blur , it is art :). The M10 is hardly impractical for taking pictures. Move beyond the cliches. The A7RII is a fine camera, it doesn't work real well with M lenses, you'll need Zeiss Batis or Loxia lenses to optically come close to better Leica M lenses. That D810 will need Zeiss lenses, and those are harder to focus on a D810 than focusing M lenses on an M body. :) forget other cameras, we are talking about Leica M here . Don't be confused. Leica M is great to take photos, RF is great , it has been like that for decades. one of the reasons people love Leica because of the RF. "more to have then to use.... "
"why they take pics of the homeless and helpless to rub in the superiority"
Why don't they just sell their cameras and give the money to charity and get a camera which much better IQ at a much lower price. That's an odd definition of "everybody". It's hard to beat Leica lenses for image quality, and lenses are real important for overall image quality. Only Leica could have made the Noctilux-M F1.25 75mm ASPH – a manual focus prime lens that weighs more than a kilo and costs as much as a new car. We've been using one for a little while - click through for our take on what it's like to use. The Leica Noctilux-M 75mm F1.25 ASPH is a fast, high-quality and decidedly heavyweight short telephoto prime lens, designed for use with Leica's digital M-series rangefinders. 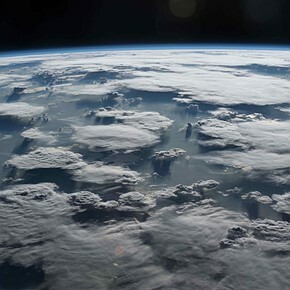 We've been grappling with it for a little while - take a look at our sample images.